BHS, Inc. will showcase new solutions for managing electrical supplies at the NECA 2018 Trade Show. ST. LOUIS, MO, August 10, 2018 /24-7PressRelease/ — BHS, Inc., a leading manufacturer of material handling equipment, will showcase new solutions for managing electrical supplies at the National Electrical Contractors Association 2018 Trade Show and Convention (NECA 2018). The event takes place between Sunday Sept. 30 and Tuesday Oct. 2 at the Pennsylvania Convention Center in Philadelphia. Visitors to the BHS booth at NECA can participate in hands-on demonstrations of innovative products designed to improve safety, ergonomics, and productivity within the electrical industry. The St. Louis, MO-based manufacturer produces heavy-duty steel equipment for cable-and-wire management, reel handling, and moving bulk quantities of electrical materials. 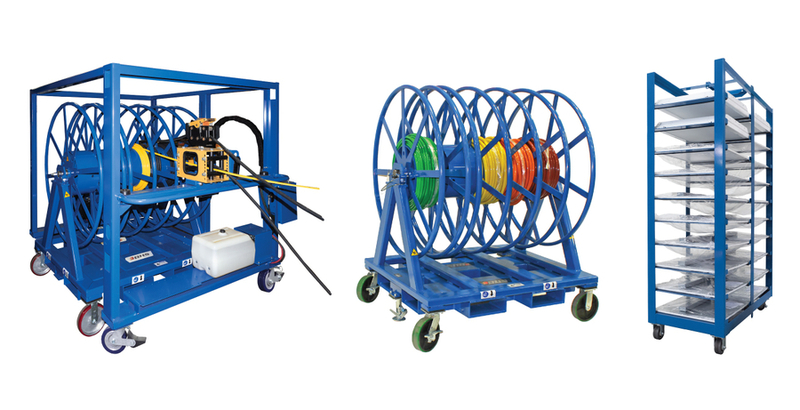 Products like Conduit Carrier Carts (CC) and Light Fixture Carts (LFC) fill a particular void within the construction industry, Bowen said. BHS, Inc. will showcase its products at the double-wide booth 649, just opposite the NECA Survey Lounge. BHS, Inc. is a leading manufacturer of custom warehouse equipment and material handling equipment based in St. Louis, MO, USA. The company tailors its industry-leading products to customer specifications, focusing on enhancing ergonomics and productivity while providing a complete set of solutions for clients in a variety of industries. Please visit https://www.bhs1.com for more information.